Prie en Chemin was born just two years ago, in Lent 2017. On the occasion of this anniversary, a brief look back at this new digital nugget created by Jesuits in the service of the Word of God. Encouraged by the success of "Pray as you go" or "Rezando Voy", Benoît WILLEMAERS and I embarked on the adventure of a daily guided prayer podcast, joined from the beginning by Dominique ZEIER, a young lay person working part-time on the project. With the arrival in early 2019 of a new website and brand new applications, the idea came to celebrate the two years of Prayer on the Way with the aim of bringing together its various actors: meditation writers, musicians, readers, users. We met in small groups of four or five people to see what improvements could be desirable, what dreams we could envisage for Prayer on the Way. Here are some of the highlighted pearls: "Prie en chemin is regular and faithful. It's just the right duration and it's balanced. Prie en chemin is to listen to a treasure in the subway. What a quality of music, beautiful voices, varied and soothing. At the same time, we talked about technical improvements, the wish to have a meditation on Saturday and the very next "spiritual kits" (and to start with "the prayer of the covenant", "preparing for the sacrament of reconciliation" or "praying in time of mourning"). Other new features will be the collections of thematic prayers to come, such as the psalms. Finally, we have other projects in the USB keyboards: "Pray on the Junior Way" to pray with the family on the weekend, or a meditation to take with you on the way to Santiago. In terms of numbers, the application has more than 15,000 users. The site registered more than 7,000 users in February. It is really heart-warming to see so many people nourishing themselves with the Word of God every day, opening their ears and hearts to what gives meaning to life. 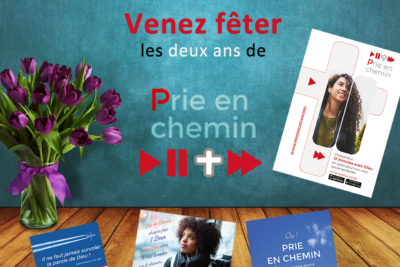 Happy birthday “Prie en chemin”! 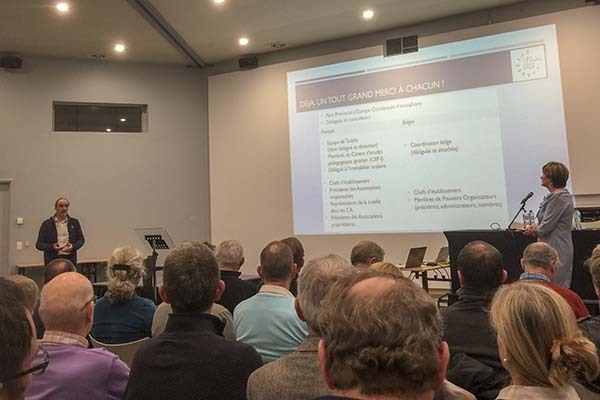 A three-day meeting for the Spiritual Centres of the EOF Province in Le Châtelard - Lyon, France (18-20 January 2019). 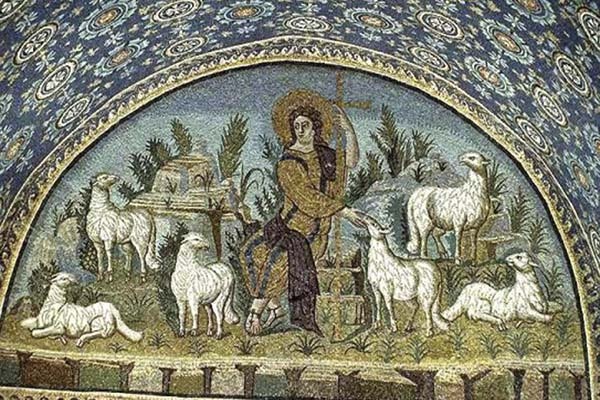 Every year, the directors, superiors and presidents of the associations of the five Jesuit spiritual centres of the EOF meet for a weekend of exchange and reflection, under the guidance of the delegate for spiritual apostolate. 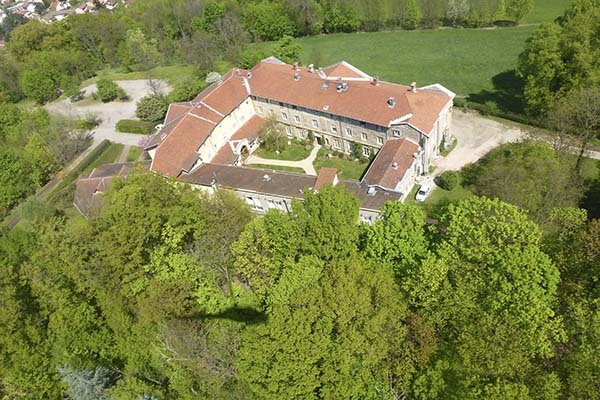 Our first objective was to better understand what a Jesuit spiritual centre represents nowadays and what common features could characterize it. We then had a good brainstorming session, during which each centre presented its apostolic project for the group's evaluation and criticism. 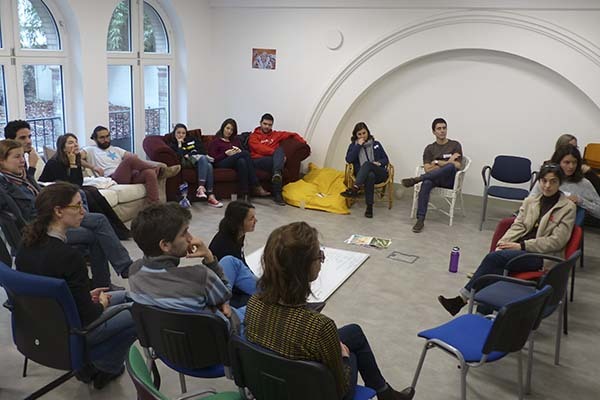 At the end of this exercise we identified three common axes – spiritual exercises, formation in accompaniment and weekends for couples –, as well as questions and specific areas of action for the future. 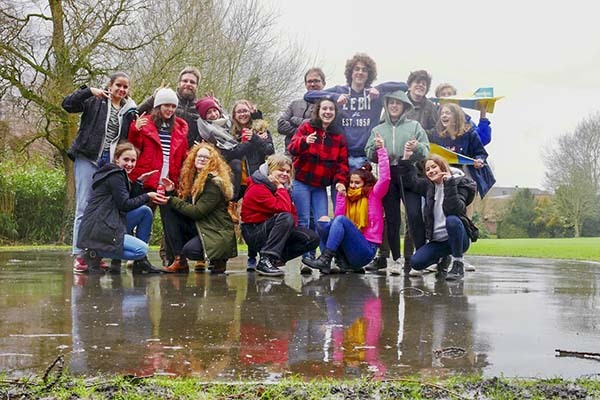 Thus, one centre is delighted to attract hundreds of young adults interested in initiation retreats; another welcomes a good number of people who are distanced from the Church thanks to proposals aimed at the professional world; whilst a third gets a lot of requests for its 'listening sessions' in its diocese. Questions raised, included: How can we better address different family realities? ; What place should be given to young people? ; Should more teaching be reintroduced to counter the lack of religious knowledge? A second important theme of the meeting was: volunteering in spiritual centres. Thanks to a questionnaire sent in advance, each centre was able to present the role and place of volunteers in its mission. Among the many issues raised, I would like to highlight those of the recognition of volunteers; the scope of their mission; and expenses and their support by the staff. Lively discussions allowed us to compare very different situations and the solutions or planned solutions that the various teams have already developed. What emerged was an image of living centres anchored in social reality! A pleasant evening with the Jesuit community and members of the board of directors of Le Châtelard crowned an intense weekend, one which strengthened our desire to serve better through the works entrusted to us.